SteamJet recently attended the SmallSat conference in Logan, Utah. 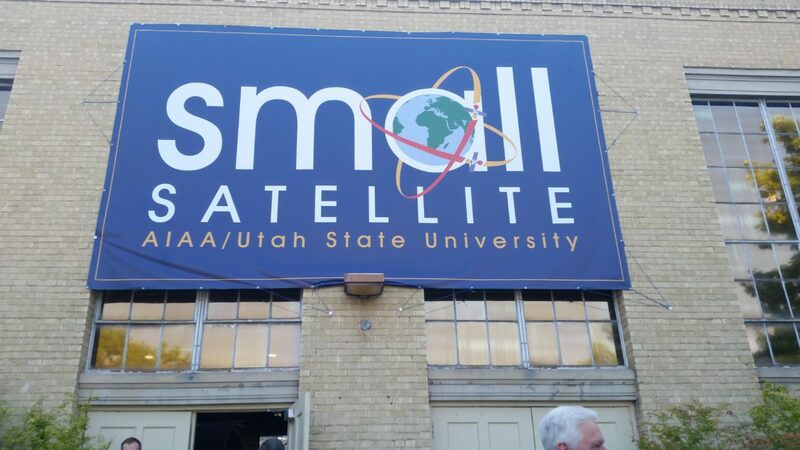 SmallSat is an internationally recognized conference on small satellites held annually on the campus of Utah State University. The conference is focused on providing a forum for the best minds in the small satellite community to explore new trends and directions, review recent successes, and introduce new and innovative technologies relevant to the market. The SteamJet propulsion system was introduced and well received from both potential customers and industry professionals. The tuna can shape factor, the safety features and overall design quality and performance were greatly appreciated by industry experts, raising the interest of many key players in using our system for their future missions. “The feedback we received from the small satellite community was extremely good. We committed to creating a really safe and compact propulsion system since day one, which are essential features in the small satellite market. We had a lot of interest around our product, so we are now pushing product development and testing to make it ready for space.” said SteamJet’s Director, Marco Pavan. Following this year’s success, SteamJet is looking forward to #SMALLSAT 2019!